I just wanted to say good bye to my friends at UniServity. I joined you all in late 2009 with the mandate to lead the company on a short two and a half year strategy. The mission was to build a new product and create a solid and profitable platform for the company to move forward. Whilst the journey has been hard, particularly given the cuts in the education sector and lack of clear direction from central government on where I.T. and technology should sit within education. We have managed to successfully build a next generation learning platform using the very latest technologies and tools in this new cloud based, socially connected and mobile world. “Life” is the result of this thinking and the credit for this solely goes to the people at UniServity. The team are unique, professional, they have commitment, but above all, they care what happens in today’s schools and they see how technology can play a part in every child’s future. The people at UniServity get communities and they get how connecting these communities of learners on a global scale can enhance today’s classroom. They also get and understand how technology can engage, stimulate and broaden peoples horizons. 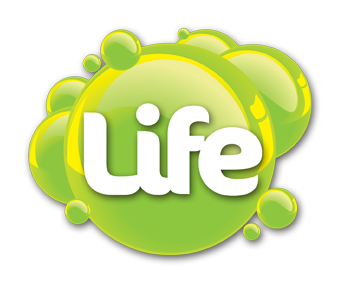 Back in 2010 when we were formulating a vision for “Life” we needed to give it a code name. We wanted something that would spark ideas, fuse thinking and pop into existence with a life of its own. We had a primeval soup of ingredients, thinking, technology and vision and we needed that spark to bring it all together. We needed to breath “Life” into our new product and hence the name stuck. Good luck UniServity. Stick to what you believe in. You have a new product, you have the first installations under your belt, you have your first user community developing. Go forward and innovate.